Don't you just love it when a plan comes together? With one thing and another going on over the last couple of weeks, I managed to leave it right until the last day to get my sibling photos this month. Which can be a total recipe for disaster as I feel the pressure to get the shot and the kids decide not to play ball. But this month it all fell together nicely and I actually love the snaps I got. The last day I had available to take them, we were having a lazy day at home together. So I just stuck the kiddos on the sofa started clicking and not even a minute later, we were done. No cajoling, shouting or bribing necessary. And three big happy (if slightly crazed) smiles. I wanted to take our photos at home this month, because home is about to change, and that makes me all kinds of sentimental. And there is something special about capturing them in their natural environment, somewhere that they are completely happy and relaxed and - quite literally - at home. 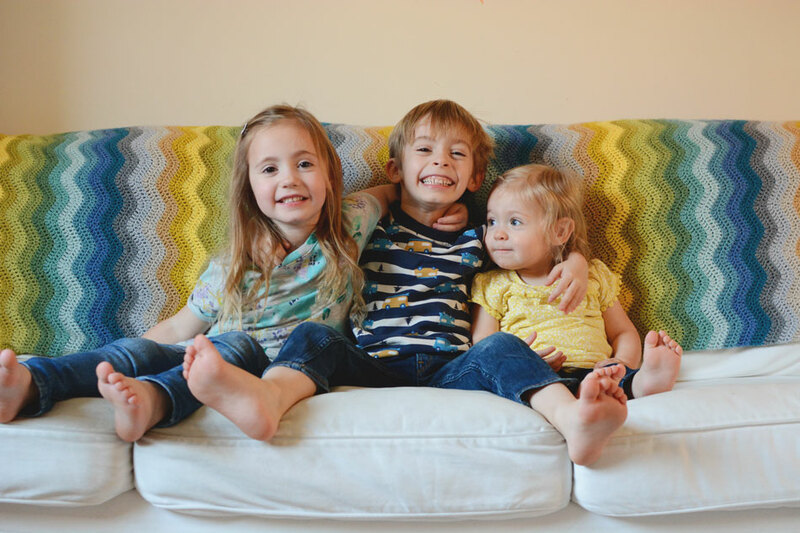 With each passing month the gap between Quinn and the older two seems smaller, she seems more and more included, more and more a part of the gang. They treat her a little less like the baby these days. She's welcomed into their games and play now, without me having to remind them, or without her simply following them and pestering them until they pay her attention. They sneak off together to play in the bedroom, or to quietly sit with books, or to cheekily empty a kitchen cupboard. And nothing makes my heart melt quite as much as it does when I stumble across them doing something together of their own planning. I mean, seriously? Squad goals, right there! It wasn't until I started editing these photos that it struck me just how similar they are to some I took last year. They were sat in the same spot for my photos in April last year, and my goodness, looking back really highlights how much they've all grown and changed in a year, but also how much they haven't changed too... they are so relaxed together, so in tune with one another, and as much as I love seeing them get closer as a unit; looking back just reminds me how that has always been there. Three little besties from the start. This year, I'm yet again joined by some lovely cohosts that you should absolutely go and check out. There is Katie with her two girls and her baby boy; she takes the loveliest photos of her trio, often on some lovely far flung adventures; plus she's my bestie so you should check her out for that reason alone. There is Keri-Anne who takes the most stunning, dreaming and classic images of her two girls, every month it's like a little work of art. 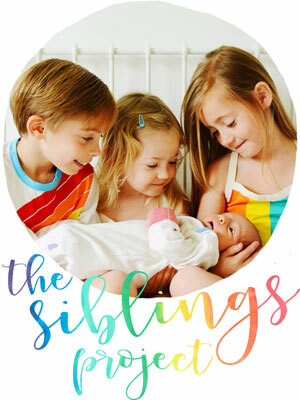 There is Carie, another one with two girls and a boy, who not only captures such beautiful photos of her little sibling set, but who also manages to find just the perfect words to sum up siblings through the eyes of a mother. 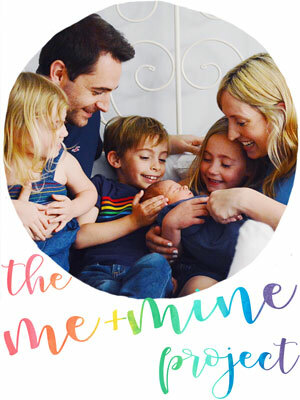 There's Amber who has not one, but two sets of twins; a boy set, and a girl set; and who manages to captures all four of her really-very-little-ones with the most gorgeous imagery. And this year I've also asked two more lovely mamas onto the team; so we have Donna with her daughter and son, she always manages to get such a great variety of photos of her close little pair "in action" and I always love seeing what they've been up to. 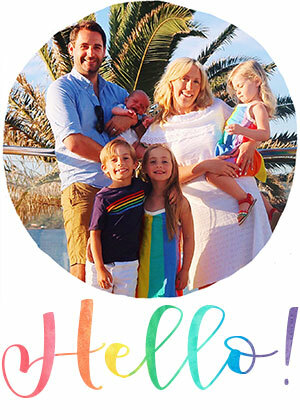 And finally we have Natalie who's mummy to four; two big sisters, a brother and their baby sister; she always captures the four of them so beautifully, and I love watching them all grow from month to month. And of course, there's you, because The Siblings Project is for anyone who wants to commit to photographing and sharing a sibling moment each month. And I do so love seeing all your photographs and stories linked up each time. 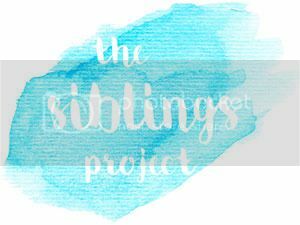 Make sure you use #siblingsproject when you're sharing your photos on Instagram, and follow @siblings_project_ if you'd like to be featured. I need to up my game. I just cannot get 2 of them to both look. I feel as if next month will be even worse :) they grow up so fast. Hurrah for last minute photos and for children wearing clothes that match blankets!! I was about to remark that that the colour combination matching happens a lot naturally in our house because they are (more or less) my favourite colours and I use them in my blog logo and I realised they are EXACTLY your blog logo colours, so you know where I'm coming from! 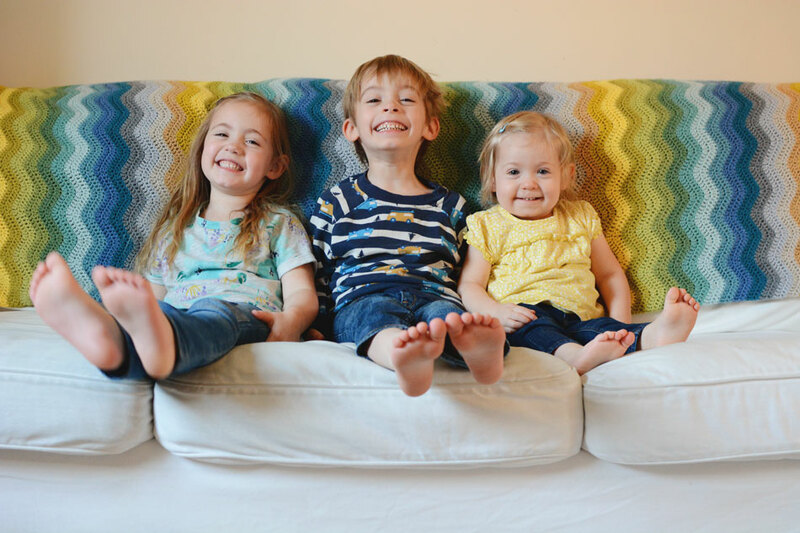 I'm amazed you managed to get such great pictures of all 3 of them together without any persuasion or bribery! They look so happy together. Thanks so much for hosting. your certainly a pro I love your pictures and that throw behind the kids is a gorgeous back drop! Such gorgeous sunny photos Lucy! Our dynamic is similar this month... Jonas joining in more and more! It's so lovely to see, isn't it? I think it is so important that your Siblings shots this month are at home. It marks such an important place for you all that next month will be different. I think next month they should be in your new home to signfy the same importance. Would be lovely. I love that they coordinate with the blanket you made. You are so talented girl. These three always make me gush. I get into that mommy mode where I am almost baby talking to my computer screen how cute they are and how amazing their smiles are and infectious and always make me broody. Little miss sure is catching up with her older siblings too here. I love it. It's so amazing to watch the three of them grow up together. Just gorgeous did I say gorgeous, well now in a baby cooing voice "goigeous" little trio. I'm late commenting so sorry! But I love these pictures! I wasn't sure if you'd be in your new home or not!